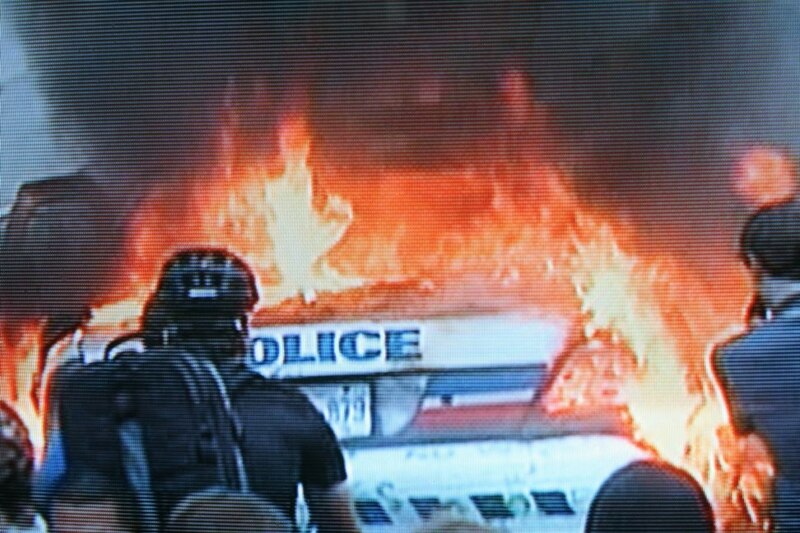 G20 in Toronto. Makes me sad, and wistful. Toronto in summer is glorious. Usually. Yes - it is sad, and disturbing. Vancouver Olympic protests in February; Toronto G20 protests in June. Canada is certainly getting our share of international media attention this year. With all the talk of "riot tourists" I can't help but wondering how many people made it to both events. I think that the overwhelmingly positive experience of the Olympics pretty-much erased that sorry episode, but the Toronto nonsense may stick. I wouldn't be surprised if many of the same individuals were involved. Had the same thing here in Seattle for WTO, as you probably recall. I was living in San Francisco at the time and got a lot of questions about my hometown and the violence. Of course, it turned out that the instigators were from elsewhere. I favor peaceful protest for sure!